"She was picking the flowers and even did not noticed how she reached the ocean. The weather changed rapidly from the sunshine to a stormy warning; but the great discovery was far more interesting than hiding from a possible rain...!" .......................................................................................................That how I would start the book if I was an author; but I am the artist and a conductor of this painting. My client had an old picture hanging oh the wall for years. The picture was of the girl standing on the beach looking at the ocean. The colors fainted and the whole scene was barely seen. The owner asked me to recreate the painting and I've gotten permission to add whatever I feel that needs to be added. I was very excited to have this opportunity. I was sure that this girl could really have a great story to tell us. 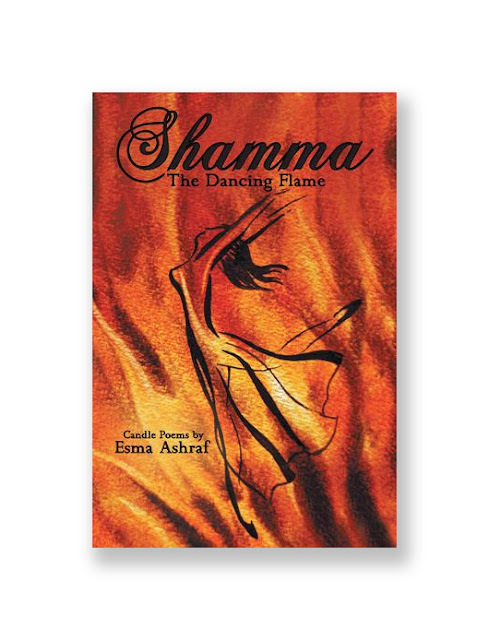 But how to tell the story without any words? In my Visual Art World it is easy! I've added several symbols to make the painting speak up. 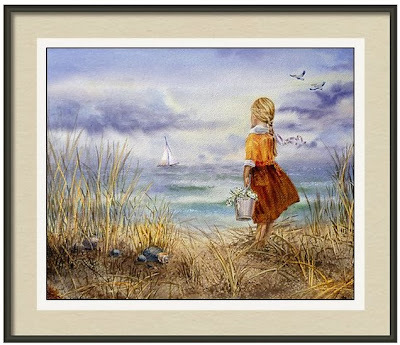 I've added daisies to the girl's bucket, I've added birds as the symbol of freedom, and I've added a boat (the one that is barely seen yet that what kept the girl standing in excitement. Those full wind sails and the weather that what helped the ocean to look so dramatic)... But here is another little addition that I've added. The girl doesn't know about it yet; but a few seconds later she will see it and I am sure it will make her very happy.. Can you see what it is?.. The Discovery is way ahead! I was playing with YouTube and created a couple of videos using Stupeflix program. This was actually fun. 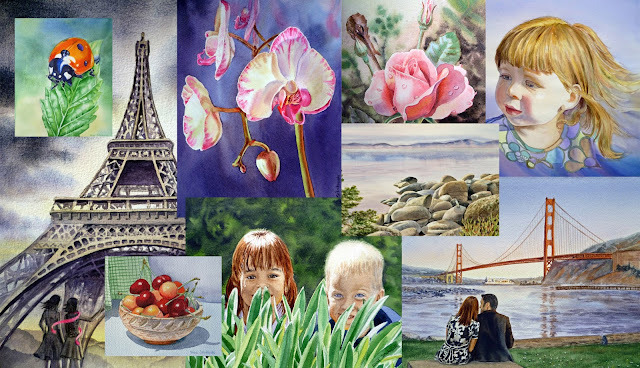 You can create less than a minute small videos/shows of the art images for free; and, there are 4 or 5 different templates to select from. If you would like to try, don't forget to go back to the created video and add the Title and the Description. When I watch videos on YouTube (art lessons, watercolor tutorials, etc.) I always wished to see a small description with the artist's web site link or at least a small information about the video. My friend sent me a card with her Granddaughter picture. Their family got bigger this April. 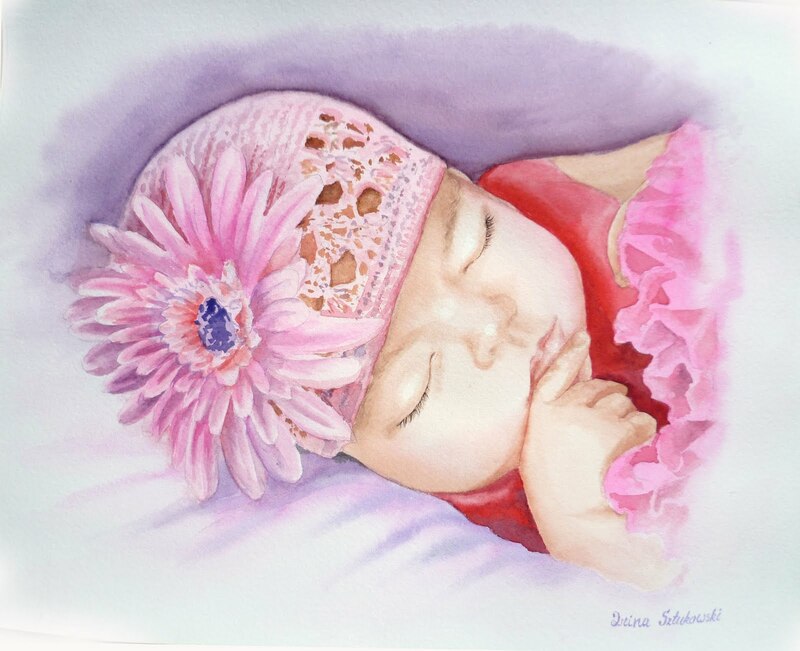 The card was so adorable and the baby was so peacefully sleeping unaware of her beauty that I couldn't resist not to paint her. I just started imagine how mom's or grandma's hands were carefully placing baby on a blanket and were putting on this cute little crochet hat. They kept their voices down not to disturb the baby's dreams. Ah! What a precious moment! 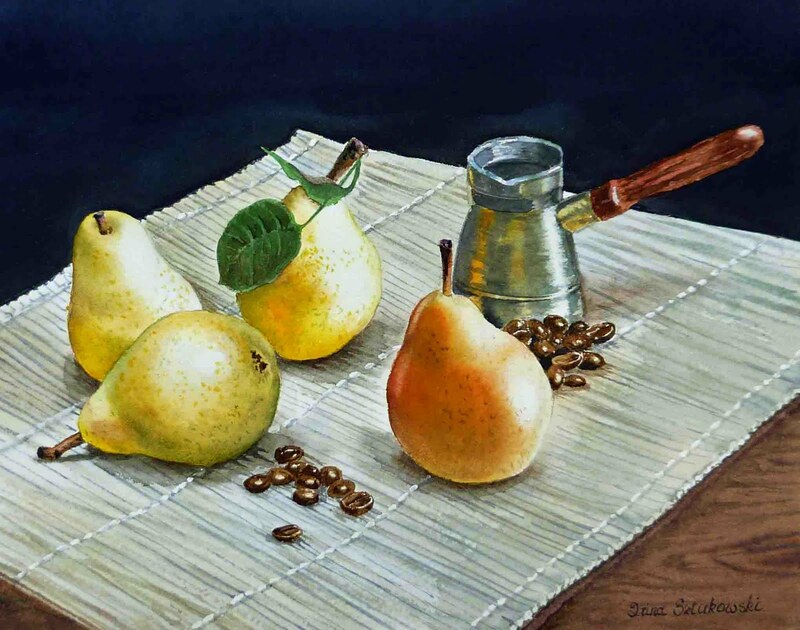 Two of my favorite things: Coffee and Pears. Not that I drink coffee eating pears every day, in most of the cases the coffee wins. And I loved to challenge myself with the pear painting as these fruits have some kind of magic in their shapes. There is no perfect pear yet they are all so incredibly interesting. At the beginning I've painted them all yellow, green and slight red. The skin was perfectly glowing from inside. I've even made a photo reference, when all of the sudden I've noticed that there is something wrong there: the pears looked to me more waxie than real. Yes, I forgot to place the little "imperfections" on them: the dots that characterize the pears so well. After few touches these Ladies came to life, all dotted, all freckled and smiley.. The photo reference came from my sister; the pears she bought at Russian Farmers Market and she used an old carafe that we had for years in our family to set up this beautiful still life for me.